America is a rich country growing poorer all the time in places. Cleave Springs was a real place, a place that rose early last century with the great rail yard that spawned it and then declined as the rail yard went quiet. A place that had tasted death and was waiting to be coaxed back to life. Wingfield is adept at revealing the past of his characters’ lives through their present (new) relationships, and in stories like this one, the payoff for his technical skill is big. Besides introducing a reconciliation between Yreka and her father here, Wingfield sets the stage for the concluding scene, which presents the stirrings of a renovated father-son relationship between Sal and Tre. This scene that couldn’t have the emotional resonance it does without our knowledge of this history is itself more powerful because it has come from the voices that have experienced it firsthand, from Yreka and her father. As commendable as such writing is, some readers might wish for more complexity in Wingfield’s overall vision. 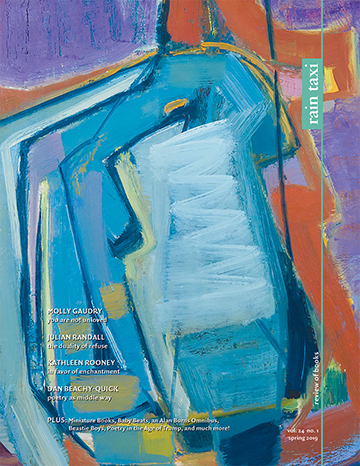 One of his implicit claims in the collection—that people in a neighborhood who reach out to one another can experience healing, consolation, and insight into their personal lives—fails to acknowledge that reaching out in this way is always fraught with risk, that true understanding is hard-fought, and that the fruits of these relationships come slowly and with great patience. In Right of Way, these harsher realities of neighborhood life are not given their due; every story ends with the protagonist extending or experiencing some gesture of consolation, or receiving some insight into his or her life. In stories like “Lily Pad,” in which the consolations are paid for by some commensurate struggle or suffering from the characters, the closing moments feel right, testifying as they do to the nourishing capacities of narrative. But when they happen routinely, the reader begins to be suspicious of them, as they seem too cheaply granted. What of the hardening of hearts? Of ongoing misunderstandings? Of quarrels that turn violent? Are not these, too, the stories of our neighborhoods? now i lifted the glass to my lips and let some of the wine pore into my mouth and held it there for a few seconds before i swallowed. it didnt taste bad like it did when i was younger and it didnt taste good either but it tasted complicated. 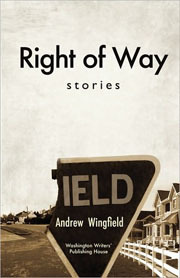 There are a number of moments like this in Right of Way, moments worth holding on the tongue of one’s mind like that “complicated” wine that gives the reader reason to hope the complexities and complications of Cleave Springs will deepen if Wingfield explores its terrain further in the years to come.